Kim and Kourtney Kardashian took their kids to Disneyland this week for the umpteenth time -- as you can tell in their faces -- but stuck it out for the sake of their little ones. 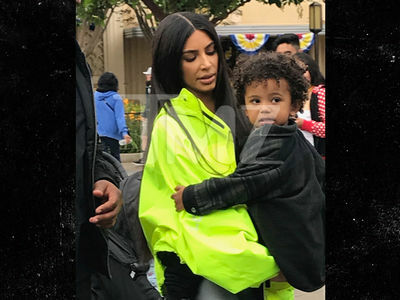 The two Kardashian sisters and all 5 of their kids -- sans baby Chicago -- hit up the Happiest Place on Earth Tuesday and, based on the adults' reactions to some of these rides ... it would appear the magic has worn off on 'em. The same can't be said for North and co., though. While the Kardashian kiddos look pretty ecstatic on each and every attraction, Kim and Kourtney seem to be broadcasting one consistent thought for the most part ... meh. Can't blame 'em, considering Kourtney was just there for her 39th birthday and Kim swung by with Kanye just last May. Disney ... it takes its toll after a while.